firstchoiceipoanalysis.com has been rewarded with 4 stars. Rating is done according to criteria such as the length of the domain, the top-level domain, the use of dictionary words and Google's PageRank. These criteria are important to determine the quality of a domain name. The lowest possible rating is 1 star and the highest is 10 stars. +1: Easier to remember Firstchoiceipoanalysis contains one or more dictionary words which makes it easier to remember. -2: Firstchoiceipoanalysis is 22 characters long. +1: Popular top-level domain .com is the most popular top-level domain on the Internet. +1: Ranked by Google Firstchoiceipoanalysis.com has been ranked 1 by Google's PageRank algorithm and has been rewarded 1 star because of this. Great job! -4: Still some work to be done on the PageRank Although Firstchoiceipoanalysis.com has been ranked by Google, it hasn't received the highest PageRank of 10. The clarification issued by the Finance Minister on FIIs P Notes had positive effect on the market and FIIs who had sold in excess of Rs 1000 CR on 29-03-12 were net buyers today to the extent of Rs 963 CR. Except four stocks, all NIFTY stocks closed in the green. NBCC IPO :EMPLOYEES FEEL VALUATION TOO MUCH STRESSED ? The recently concluded NBCC IPO has received very poor response form its own employees. Out of he 1,20,000 shares reserved for the category the company received subscription to he extent of 11,340 shares (9%). Whether the NBCC management and lead managers failed to educate /persuade the employees to invest or the employees themselves taken a well informed decision, only time will tell. The Public offer of 1,20,00,000 equity shares by NBCC , in the price band of Rs 90 - 106, received luke-warm response till today, getting subscription to the extent of 58% only. The IPO closes tomorrow. IPO ANALYSIS: MT EDUCARE LIMITED – IT WILL EMPTY YOUR INVESTMENT – AVOID. There is something basically wrong with IPO grading by CRISIL. The grade awarded is above average. Consider the following; The PAT margins for the company for the financial years 09, 10 and 11 (9 months) is 3.6%, 6.3% ad11.5% respectively. The basic EPS for the same period is Rs 0.80, Rs 1.50 and Rs 2.80. With IPO envisaged the margins have taken a jump in FY 11. The projected CAGR is 11.6% till 2015. More over the company is in to coaching business which is fragmented and dominated by regional players. CRISIL talks of brand equity. However, the company has not registered some of the trademark used for certain Courses. One does not understand how CRISIL has given grade 4 for the IPO. Of course the rating agencies had given grade 4 for SKS MICRO, T D POWER, MUTHOOT FINANCE, A2Z MAINANTANCE, OBEROI REALTY, TECPRO SYSTEM, ORIENT GREEN POWER and BAJAJ CORP. All of them failed miserably in the exchanges. MT Educare, provides educational coaching services for classes 9 and 10 (State board, CBSE and ICSE), classes 11 and 12, graduation (commerce), preparatory/entrance tests (engineering, medical and MBA) and professional courses such as chartered accountancy. The company has evolved from a local coaching player operating few centers under the partnership structure to a corporate entity. MT Educare is one of the largest coaching service providers in Mumbai; it has 190 centers in 106 locations across Maharashtra, Karnataka, Gujarat and Tamil Nadu. It has coached around 58,000 students during FY11. The company runs the coaching classes under the brand name 'Mahesh Tutorials’. In FY08, Helix, a private equity player, invested Rs 328 Mn by subscribing to compulsorily convertible preference shares which got converted into 29.33% equity shares in FY09. Its bonus adjusted per share cost is Rs 32.56. The company is planning to launch various new products. It has recently launched the MBA test preparatory coaching. It is also planning to launch UVA (university, vocational and affiliated) and internet based coaching for students below 9th standard. This product is aimed at the assimilation of commerce and MBA entrance coaching and will focus on students who want to pursue MBA instead of professional courses like CA. The company has also formed a joint venture with HT Education Ltd to offer school coaching in northern India to improve its visibility in the region. The other new projects include -Pre-university college, Interactive networked knowledge center and an, JV with HT Education Ltd.
Geographical concentration. Around 80 % the centers are located in Maharastra particularly in Mumbai. Growth in the past has come from inorganically. Fragmented and highly competitive market. The coaching sector the company operates is not regulated by any central or state legislation. The central or state governments may introduce laws regulating the coaching sector in the future, as happened in Micro finance segment. The Ministry of Human Resource Development of the Government of India and the CBSE have, made the annual examinations conducted for Xth standard students studying in schools affiliated with the CBSE, optional from the academic year 2010-11. The future revenues may be adversely affected as the Company and the wholly owned subsidiary, are involved in providing coaching services for the Xth standard examinations conducted by the CBSE. The average cost of acquisition of Equity Shares by the Promoter, who holds around 50% of the total equity of the company is just 0.02 paisa. The company is in to parallel education system without any sanctity and accountability. These kind of institutions are taking advantage of the void created in the system and exploiting the students and hapless parents. Government is bound to regulate this kind of business, which will affect revenue and profitability. The business model is unsustainable. The valuation at Rs 74 – 80, is too much stressed, considering its track record and constraint in scalability. The company post IPO will have an equity around Rs 36Cr. Even to show an EPS of Rs 5, it has to earn PAT of Rs 18cr, which is very unlikely. Career point, a company which is into similar business, came public in 2010 at Rs 310, is now trading around Rs 196. Look at the performance of the IPOs managed by ENAM in the past. They have a failure rate of as high as 90%. Even an “at par” IPO (Future Ventures) managed by them is trading below the issue price. NBCC, the public sector company is engaged in the business of project management consultancy services for civil construction projects, civil infrastructure for power sector and real estate development. The New Delhi headquartered company has 10 regional / zonal offices across the country. The projects undertaken by the Company are spread across 23 states and 1 union territory. In addition, NBCC have also undertaken projects overseas. #ANNULISED. NAV AS ON 31-03-11 IS RS 54. NBCC had negative net cash flows from investing and financing activities in the past. The company depends on sub-contractors for timely and successful completion of the projects. The projects may be delayed on account of the performance of sub-contractors. NBCC’s revenues are significantly dependent on the PMC business. Any decline in PMC business, could in turn, adversely affect the business prospects. NBCC have not executed BOT/BOLT/BOOM projects in the past and hence have no experience of executing such projects. The company does not hold a trademark registration for the trade name and logo. The business of real estate and construction is highly fragmented and dominated by regional players. NBCC has no competitive advantage. It depends heavily on central and state governments for business. The business model of NBCC is not exciting and the management is not exceptional. At Rs 90-106 price band, the company is demanding a PE multiple of 8, which is expensive for a government controlled real-estate company. Most of the IPOs managed by ENAM in the past are still languishing below the IPO price. They are –VASCON, D B REALTY, JAYPEE INFRA, INDOSOLAR, RAMKY INFRA, ELECTRO STEEL, ASHOKA BUILDCON, PRESTIGE ESTATES, CLARIS, A TO Z, T D POWER, FUTURE VENTURES and ILFS Transport. The IPO carries grade 4 awarded by CARE. MCX IPO TO LIST ON 09-03-12. 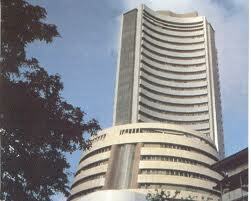 MCX - India's first exchange to be listed will gets IPO shares listed on 09-03-12 (BSE). The IPO received tremendous public response and was subscribed around 55 times. MCX has fixed the share price at upper limit - Rs 1032 a share. The shares are likely to list around Rs 1300. Labels: MCX IPO TO LIST ON 09-03-12. Surprise election results from assembly polls, pragmatic budget and other international positive news will push the NIFTY beyond 5700 level before 31, March 2012. U P POLLS: FIRST CHOICE IPO’S ASSESSMENT – CONGRESS, S P AND RLD COMBINE WILL FORM THE GOVERNMENT. Voting for the last phase will be held on 03-03-12. Counting of votes will be taken up on 06-03-12. As per our assessment, no single party is likely to get the majority seats. In fact no party is likely to cross 150 mark. Contrary to popular perception, Congress will make spectacular come back and with RLD their figures may cross 100.